1455 Square Feet (135 Square Meter) (162 Square Yards) modern double storied home plan. 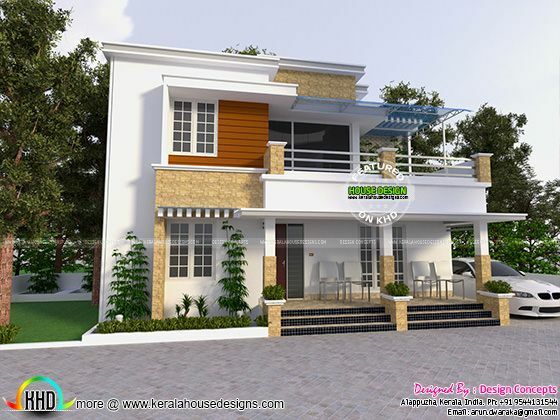 Design provided by Er.Arun Kumar, Alappuzha, Kerala. Ground floor : 875 sq. ft.
First floor : 580 sq. ft.